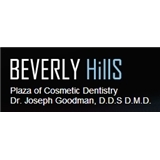 Beverly Hills Center of Cosmetic Dentistry (Beverly Hills) - Book Appointment Online! Trained at one of Europe's top dental schools with additional post-graduate training at UCLA and USC, I am able to treat my patients in multiple categories using the latest holistic techniques. If you're looking for a Los Angeles holistic dentist, look no further! We use the latest restorative materials, free of BPA, Phlates, mercury and free of lead - So your new crowns and fillings will have no negative effect on your health. We also specialize in high end cosmetic dentistry, highly esthetic porcelain veneers, crowns, bridges and implant dentistry. What a fantastic doctor, great offices, and very fast. We're all busy, and he got me in and out in less than an hour for a veneer on my tooth that chipped. Highly recommend Dr. Goodman.